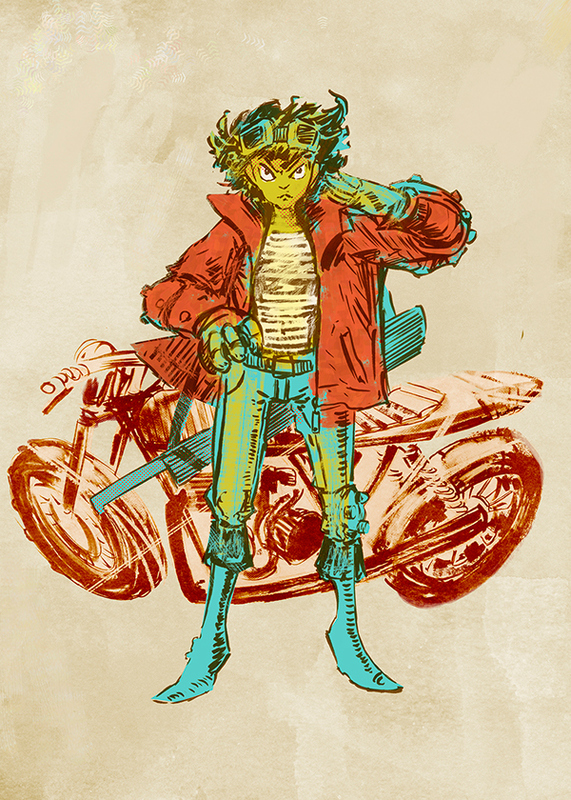 I started imagining a motorcycle fighting game in the vein of Road Rash and Twisted Metal. This character, and all others I wanted to make, is slightly off. 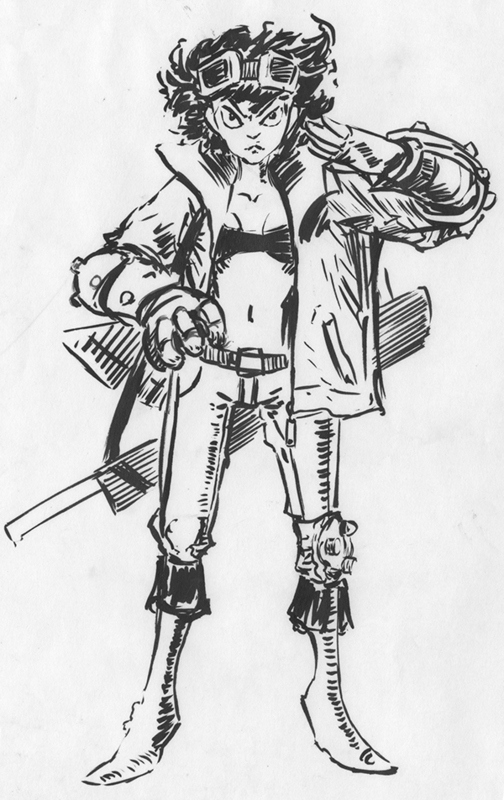 She's kind of an ex fighter pilot. In our world she is saluting with the wrong hand but I wanted her to feel wrong, so it didnt matter. 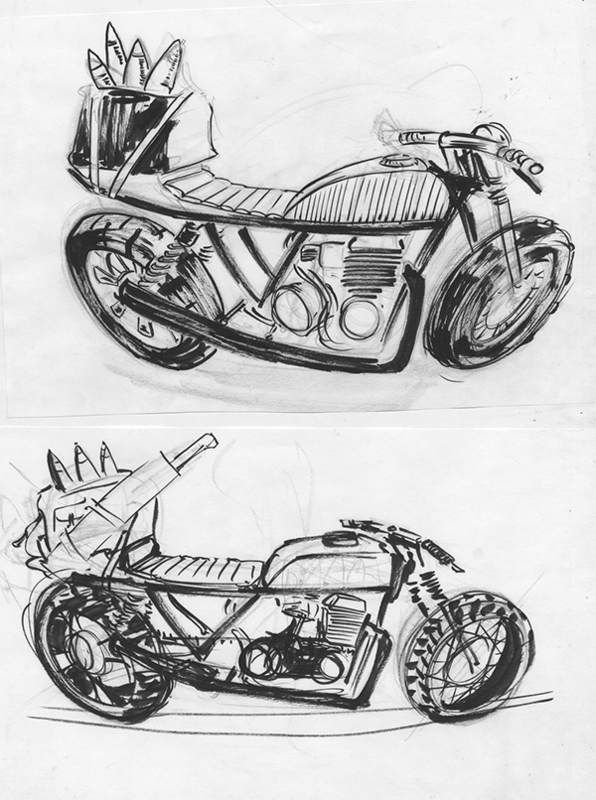 Here's some bikes I did before hand. I changed some things around digitally. 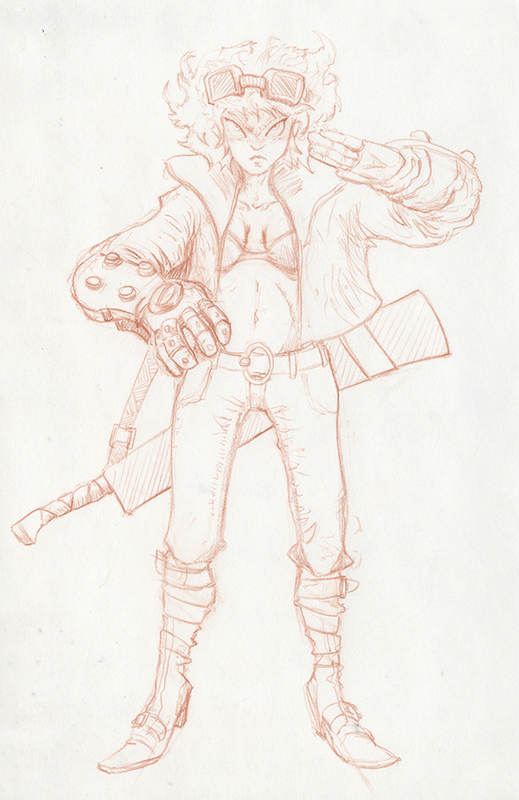 Originally she had skin showing, but I didn't like after it was scaned. So I changed it. My original thought was to do tight linework. But I trusted my gut and used my inkwork instead.